Book 1 in Trilogy with Loyal and The Dragon and Castle Adamant (all stand-alone stories). The year is 1641, and England lurches toward civil war. King Charles I claims Divine Right to rule autocratically, so Parliament vengefully arrests his friend Lord Strafford. 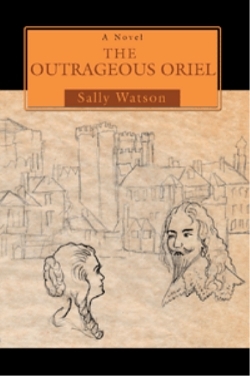 While the trial goes on, while Queen Henrietta plots with the court poets to seize the Tower of London, while Princess Mary rebels against wedding the Prince of Orange, while London riots, Lord Heath brings his daughter Oriel to court and directs her to make the Princess amenable to the marriage. Oriel, elfin, judgmental, willful and offensively candid (as her friend and neighbor Evan tells her) declines to obey. (“I don’t know if she’ll be happy!”) She finds Court offensive—as they find her. Having alienated the queen and poets by pointing out that their plots are foolish, and the courtiers (including her promised husband) by scorning their hypocrisy, she makes friends with the commoners in the courtyard below: servants, thieves, artisans and whores, who call themselves Yardbirds. The crises of Strafford’s conviction and the royal wedding coincide with the kidnapping of Oriel for reasons of combined politics and vengeance. King, queen and courtiers shrug: the outrageous Oriel is no loss. It’s the Yardbirds and Evan who unite to find and rescue her.